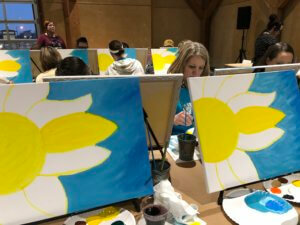 It was JRA Ladies Night! 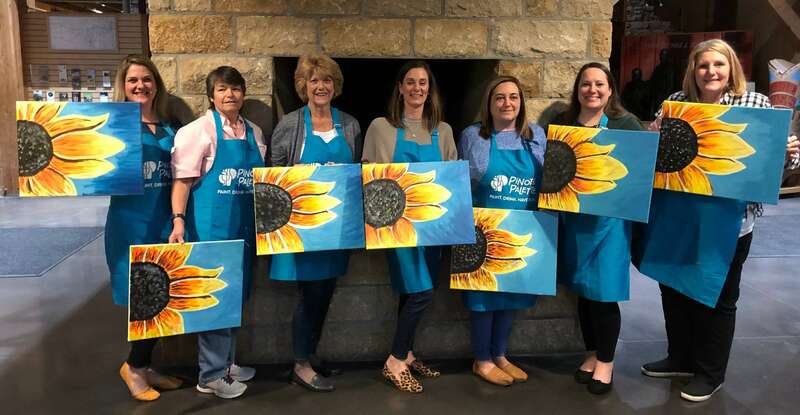 The ladies went out to dinner at Ignite in Lenexa and then to paint sunflowers to raise money for the Mahaffie Stagecoach Stop & Farm. Pinot’s Palette of Olathe taught the group how to do the painting which raised $270 for Mahaffie. Mahaffie Stagecoach Stop & Farm is the only stagecoach stop left on the Santa Fe Trail. It is now preserved as a public historic site, which offers experiences and opportunities that engaged visitors in discovering 1860’s farming, life on the Kansas frontier and stagecoach travel. 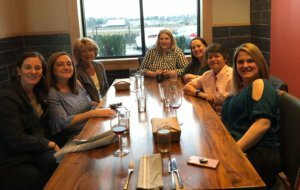 It was a great night with great food & great company.